Christchurch Galvanic treatments for helping to restore your skin's natural health and beauty at USparkle Therapy Centre & Day Spa. Refreshing Galvanic skin rejuvenation treatments offered in the privacy and comfort of the USparkle Therapy Centre & Day Spa. 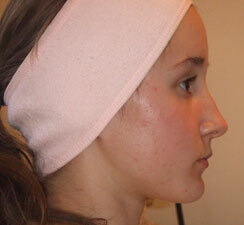 Galvanic Skin Rejuvenation treatments hydrate your skin, energising and refreshing it. 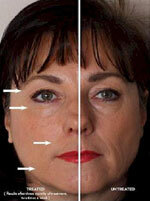 The benefits of the Galvanic Skin Rejuvenation treatments are huge and include face, body and hair. Treatments work to quicken the natural cell renewal process of the skin, leaving your skin feeling younger, smoother and healthier. Rejuvenate your skin and feel radiant everyday! What Can Galvanic Skin Rejuvenation be used to Treat? 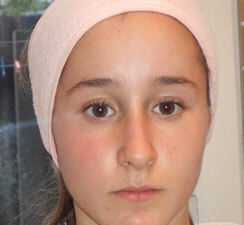 USparkle Therapy Centre's galvanic skin therapy facials have done wonders for my sensitive skin. Having just completed a 12 session galvanic skin therapy program with a USparkle therapist, the feel of my skin has never been better. I highly recommend galvanic skin therapy for ultimate hydration. During my first session, I couldn't believe how dehydrated my skin was. My skin is no longer dry or dehydrated and the appearance of my skin is much more healthy and radiant. I continue to receive compliments on how young my skin looks. I am convinced galvanic therapy has helped 'lift' my cheekbones and my best features have been enhanced in a natural way. I found each session so relaxing and knew it was doing wonders for my skin. Any skin imperfections like skin 'tags' which are known to be caused by ageing and also highly sensitive areas of my skin that were prone to eczema and allergies have been treated, thanks to USparkle therapist's extensive knowledge and caring approach. 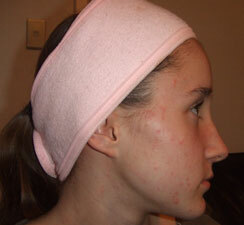 Here is an example of the effects of Galvanic Skin Rejuvenation treatments on a patient. The patient has been having weekly 2-weekly, 10-minute treatments for 4 weeks. Maintenance 1x 10 minute treatment per week.